Last, but certainly not least, I bring you my Rory inspired look, and wanted to thank everyone who has followed along these last few days. I hope everyone has a Happy Thanksgiving, and that these re-boot episodes deliver. This is inspired by Rory's college years, where girlfriend wore a lot of sweaters and jeans, and the occasional jean or corduroy jacket. 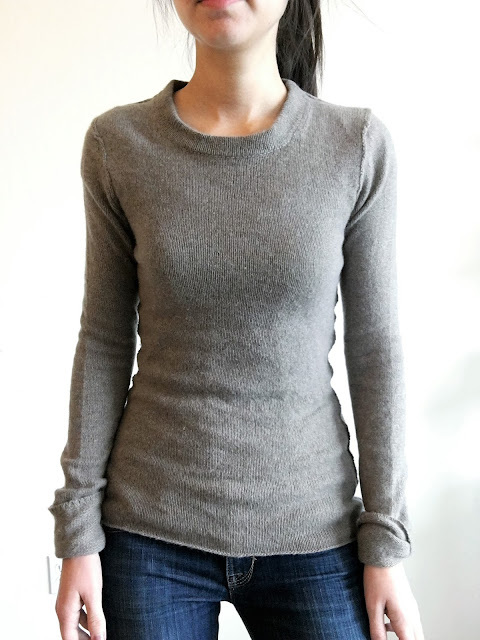 I kept it simple, pairing this cashmere sweater with my favorite jeans, and I am ready to curl up with a good book, or get involved in a love triangle. Also, while I sadly don't have a pink Birkin to pair with this outfit, I feel like Rory might have rocked this Rebecca Minkoff bag pre-Logan. What do you think, and what in your closet makes you think of Rory?